?This Spy Button Camcorder 8 GB will allow you to record interviews, business meetings, school lectures and on scene discussions without intimidating anyone.
? This is one of the coolest audio recorders ever!It is a lightweight, smooth electronic gadget. This makes it practical for storage and holding while outdoors or indoors. Note: 8GB Memory card is included. It's a perfect gift to make you the hero of any birthday or upcoming holiday. 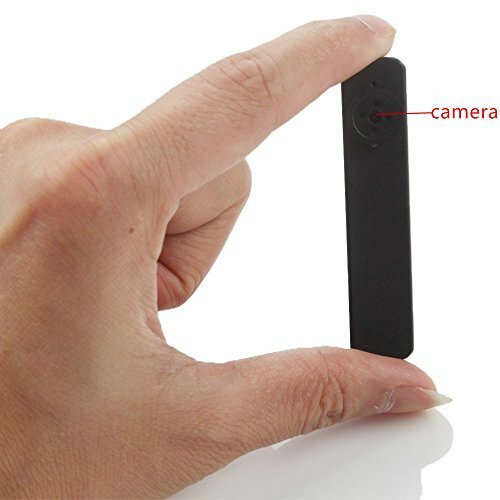 MOTION ACTIVATED CAMERA: The motion sensor hidden camera mode records only when the HD video button lens detects motion for giving you longer recording time. 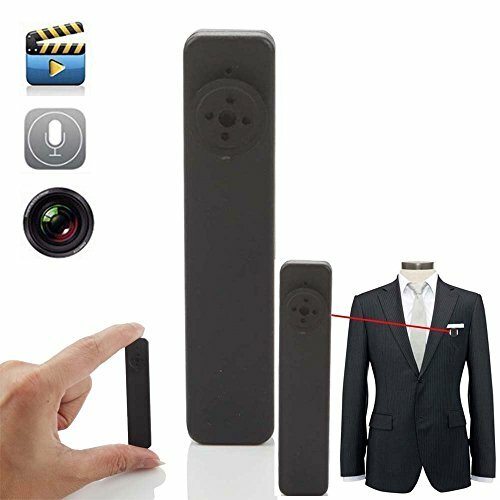 HIDDEN VIDEO CAMERA FOR HOME:The Aperfect hidden pinhole camera is the best hidden mini camera available. this multifunction hidden mini records true natural color HD video with clear audio and takes still image pictures if needed. MEMORY CAPACITY: Webcam function ,support 8gb micro SD card in max ,this fully functional spy button camera is a masterpiece of engineering, worthy of any special agent. EASY TO USE WORKS WITH PC OR MAC: Capture moments at work, spouse, friend or kids even if you're not there! the hidden gadget kit support file formats for PC & mac USB. 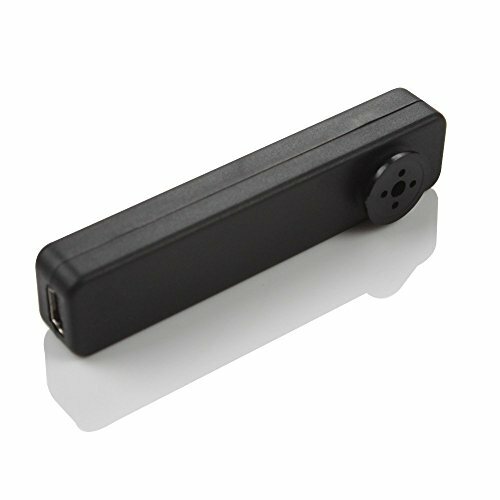 RECHARGEABLE HIDDEB CAMERA: High capacity rechargeable battery allows for fast charging and longer recordings. catalog your video and images with the date and time stamp feature.